July is the height of the year in this “Vacationland” state. The month virtually began here with the annual 4th of July parade and picnic, complete with classic cars, fire engines, floats and the amazingly good Brooklin Town Band. For the most part, the July weather gods did their job and produced eye-popping vistas in which salty cool breezes made your chest ache for a huge gulp of the real, fresh air. But this is coastal Maine, where the weather takes orders from no one. We had our share of fog and rain, including a few tourist-groaning days in which rain coincided with a very low tide. But, for most of us, beauty never left the stage no matter what the lighting director did. For gardeners, a good combination of sun and rain produced a bumper crop of happy flowers. (Morning fog also is a great moisturizer for the beautiful faces of young flowers.) Outrageously red Bee Balm, multicolored Yarrow, and golden Ornamental Sunflowers were especially bountiful. 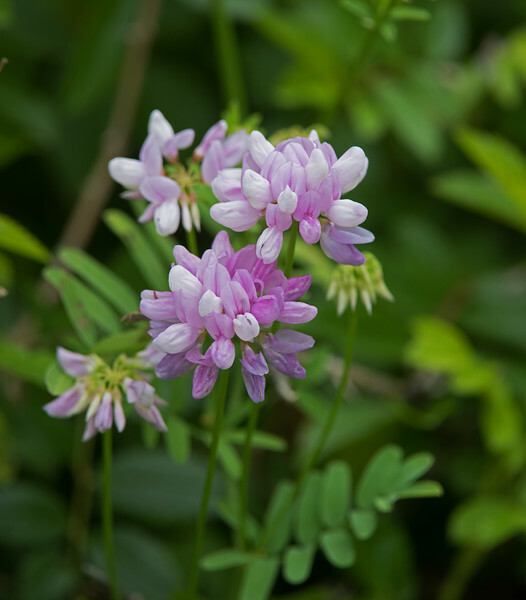 For walkers, the winding country roads and trails were -- and still are -- wonderful places to see wildflowers, even invasive plants such as Fireweed and Crown Vetch. Our birders' binoculars runneth over in July. A few of our colorful feathered tourists included Ruby-Throated Hummingbirds, those three-inch zooming jewels; aptly-named Goldeneyed Ducks; Maraschino-cherry-eyed male wood Ducks in their summer molts, and Great Blue Herons sweeping over the waters like witches on brooms. Of course, July is a big birthing month here. As regular readers of this Journal have seen, we monitored the birth, raising, and departure of twin Broad-Winged Hawks. 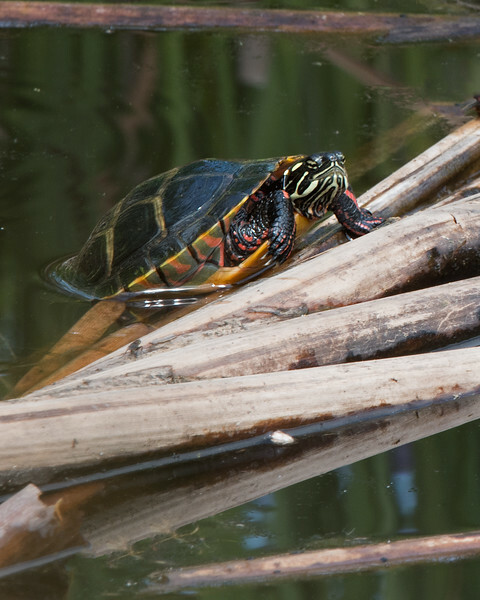 Among other beginnings-of-life events on which we reported, there was a diaspora of half-inch American Toads leaving the bogs by the hundreds; the arrival of a two-inch Painted Turtle youngster in our Pond, where it was accepted by our summer resident turtles; and a collective nursery of female Common Eider ducks trying (mostly unsuccessfully) to protect their ducklings from Bald Eagles. 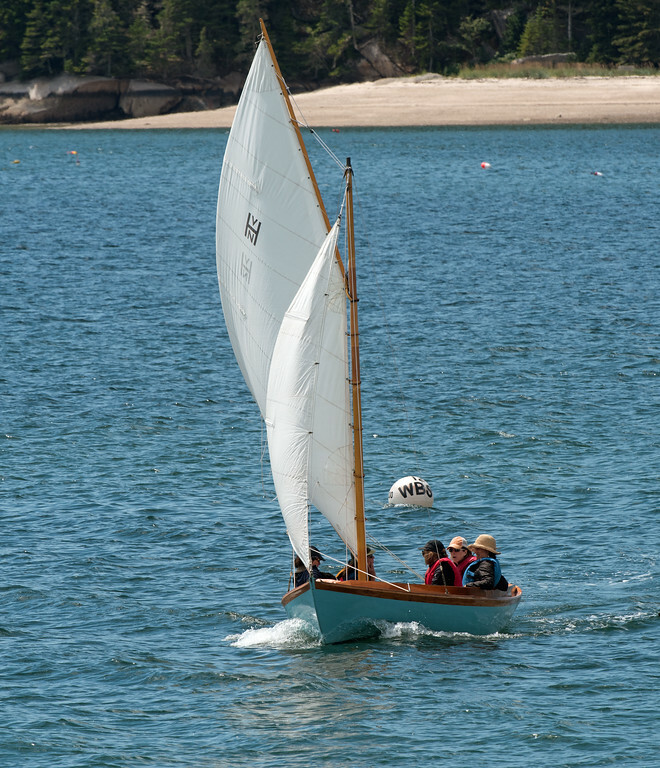 It might be a birthing month for wildlife, but July is the beginning of a serious sailing month for many humans here. 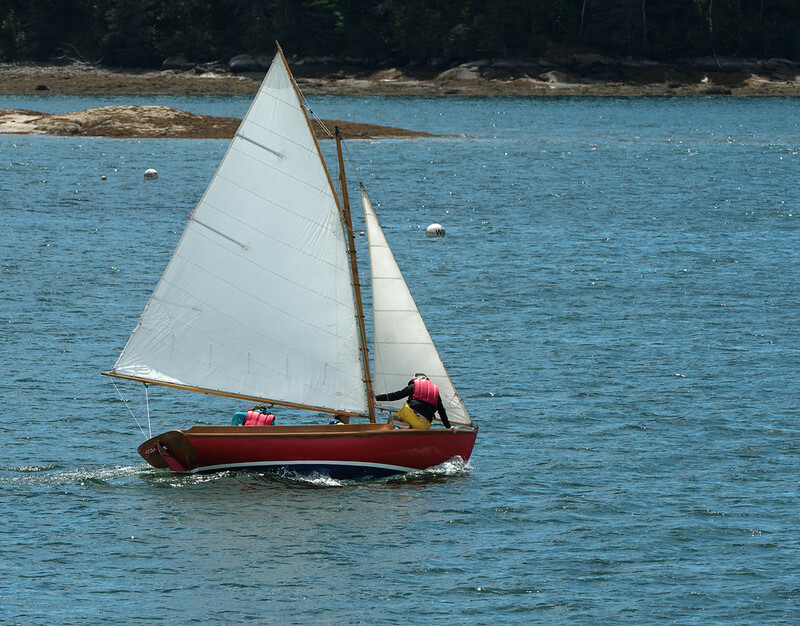 Although we have those who come into Great Cove on big historic Schooners, such as the Angelique, most sail the Cove’s winds in smaller craft. In July, however, you don’t have to be on the sea to enjoy the coast on a lovely summer’s day. Many of us can let the toxins evaporate from our minds and bodies simply by watching graceful, bobbing boats being arranged and rearranged by their true masters, the winds and currents.